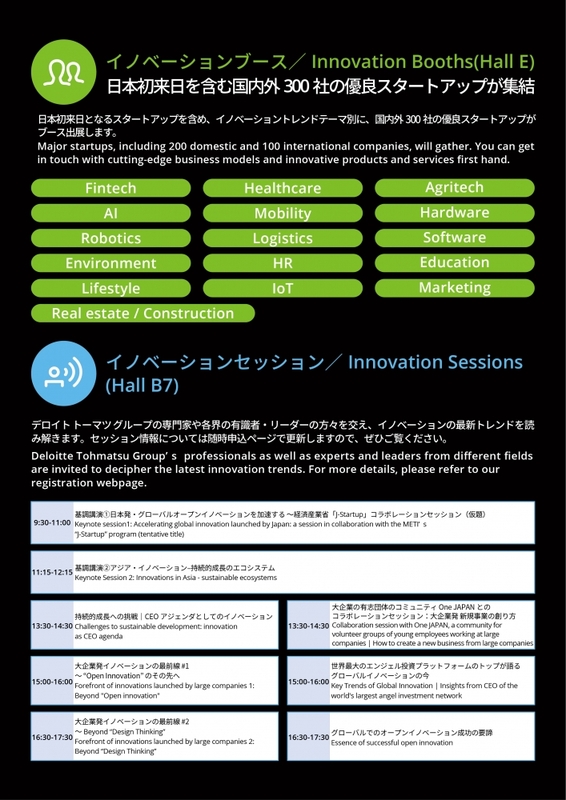 Deloitte Tohmatsu Group marked the 50th anniversary since its foundation and will hold Asia’s largest innovation conference “Deloitte Tohmatsu Innovation Summit”, on Tuesday, September 11, 2018 at Tokyo International Forum. In recent years, open innovation has been accelerated across the globe and the construction of an innovation ecosystem has become an urgent need in Japan. In this conference, about 300 Japanese and international startups, including first-time visitors to Japan, will gather to accelerate the open innovation through networking and power matching between large corporations and startups. 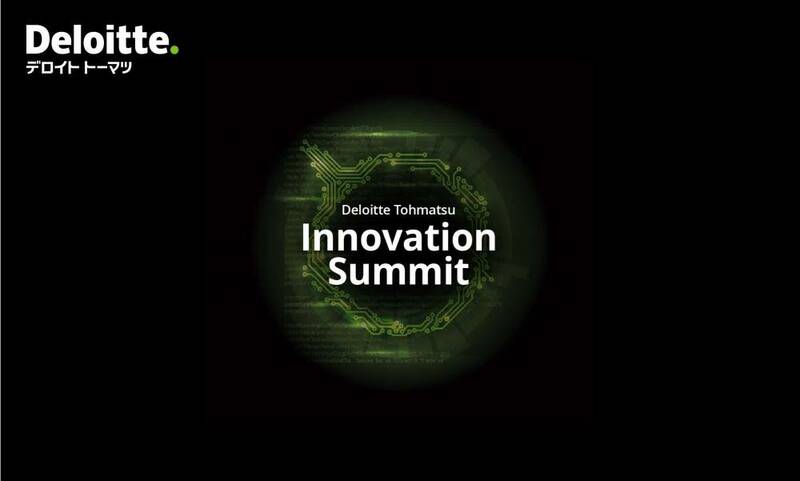 Also, Deloitte Tohmatsu Group’s experts, external experts and opinion leaders will hold Innovation Sessions, which will provide cutting-edge insights on innovation from multiple points of views, such as corporate growth strategies, future handling of social issues.